From Santa Barbara to Los Angeles, there are plenty of cities in California for you to explore, but one of the most fun, interesting, and unique will always be San Francisco. Dubbed The Golden City, this amazing destination is a favorite among travelers far and wide. 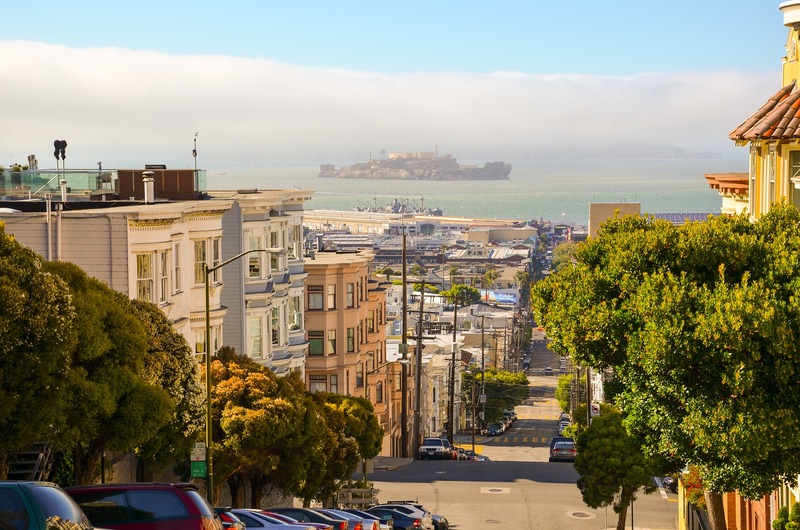 Whether you’re visiting for the first time, fiftieth time, or live somewhere downtown, San Fran is full of weird and wonderful sights and activities for everyone to enjoy. Here are six unique things that you could try. Lombard Street isn’t the most crooked in the city, but it’s the one most want to see. Paved with red brick and lined with colorful flowers and greenery, this is a weird experience most out-of-town guests will gladly line up for. Which is good, because you may have to. Featuring eight hairbend turns, this road usually sees around 250 cars an hour, so you’ll probably have to wait your turn. If you like to bring home magnets and postcards as travel souvenirs, you may want to give Paxton Gate a swerve. Widely known as San Francisco’s creepiest store, this shop’s shelves are filled with a selection of mysterious plants, skulls, bones, taxidermied animals, and other unusual home goods. If you’re looking for a weird and unique buy, this is the place to go. While some cities have one or two haunted locations to explore, San Francisco has tens, if not hundreds to keep you on edge and entertained, including The Winchester Mystery House. Often named the world’s most haunted house, a tour of this building could be the murderous and macabre travel experience you’re looking for. That’s if you’re brave, of course. The Wave Organ is a sculpture unlike any other. Designed by Peter Richards and located in San Francisco Bay, this structure is essentially a huge musical instrument played by the ocean. It is designed to capture the movement of waves and use this to create acoustic music. The sounds that you hear may be subtle, but they’re magical to any and all who visit. There are plenty of art galleries in San Francisco for tourists to explore, but there is one that even locals walk by without even knowing it exists. The smallest gallery in the city, known as Savernack Street, is one that can only be seen through a peephole and is otherwise hidden in plain sight in the Mission District. Being the most famous prison out there, almost everyone who visits San Francisco wants the chance to see Alcatraz for themselves. Luckily, you can, but you’ll need to plan ahead to do it. Alcatraz tickets tend to sell out weeks, if not months in advance, so you’ll need to book early. With an audio headset tour and wine on the ferry back, it will be more than worth it though. If you’re looking for weird and wonderful activities for your San Francisco trip, why not consider the six listed above.